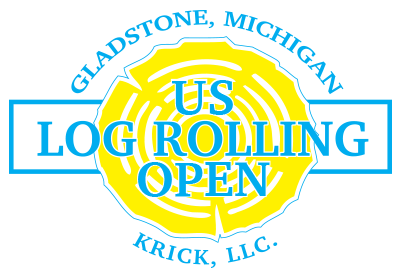 US Log Rolling Open – KRICK LOG ROLLING | LET'S ROLL! The third annual US Log Rolling Open will be partnering with the City of Gladstone 4th of July Celebration on Wednesday July 4th, 2018! 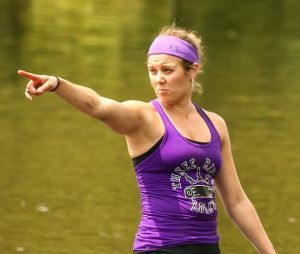 9 time World Champion Dan McDonough will be co-director with US Log Rolling Open founder, Katie Rick. 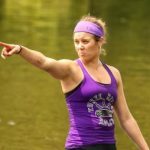 They are bringing log rolling back to Gladstone, MI, after a 17 year break. The dynamic duo is hosting a United States Log Rolling Association sanctioned tournament; expect to see top athletes from the sport competing. Some of which have been featured on ABC Wide World of Sports, ESPN, Fox Sports North, and Comcast Sports Net. 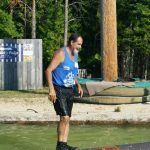 Per the USLRA Athlete Bio, “His (McDonough) resume is jaw dropping; nine professional Log Rolling World Championships, including a record seven straight during his peak in the 1980’s. 15 times, McDonough finished first or second at the Log Rolling World Championships. At one point, he went 11 consecutive years, making it to the finals. And McDonough accomplished all of it during a golden era of competition that included Phil Scott, Fred Scheer, J.R. Salzman, Darren Hudson, and Brian Duffy, all at or near the prime of their careers.” For more on McDonough click here. McDonough will be handling the operations of the event itself and Rick will be handling planning and other responsibilities not tied to operations and compete in the event itself. Rick was the founder of the US Log Rolling Open and professional competitor who previously took the weekend of the event off to take care of operations. McDonough and Rick are excited about the partnership which plays to each of their strengths and current competitor status. Additionally, working with an established festival in a city with a long history around log rolling is a phenomenal opportunity for both. ©KRICK LOG ROLLING | Site By JKHD, LLC.